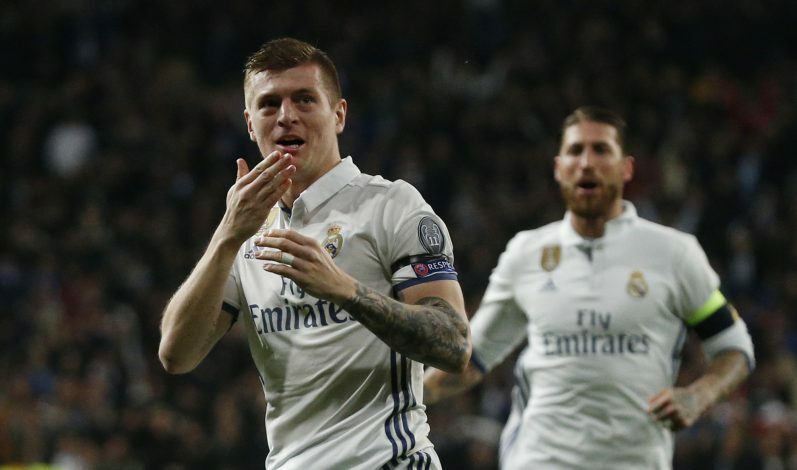 The German Sniper, Toni Kroos, will consider joining Manchester United in the summer if Real Madrid fail to secure a title at the end of the season. Spanish outlet Diario Gol claims that Toni Kroos might look out for new challenges at the end of season if Real Madrid don’t manage to bag a single title this season. Zinedine Zidane’s men, who are already out of Copa Del Rey, have Barcelona hot on their trail in La Liga. Manchester United boss Jose Mourinho is a big fan of the World Cup and Champions League winner, and the Portuguese is looking to induce some much needed creativity and technique in his midfield, with Michael Carrick not getting any younger or better. The German star has been identified as the perfect midfield partner for the world record signing Paul Pogba. The France international is yet to show his true colors at Old Trafford, and many believe that the signing of Toni Kroos will facilitate just that. It’s worth noting that Manchester United’s interest in Kroos is not new by any means. David Moyes recently claimed that he had an agreement in place to bring Toni to United, but the deal fell apart when Moyes was sacked in April 2014. “Toni Kroos was agreed to come in the summer. I had agreed it with Toni himself and his agent,” Moyes was quoted as saying.